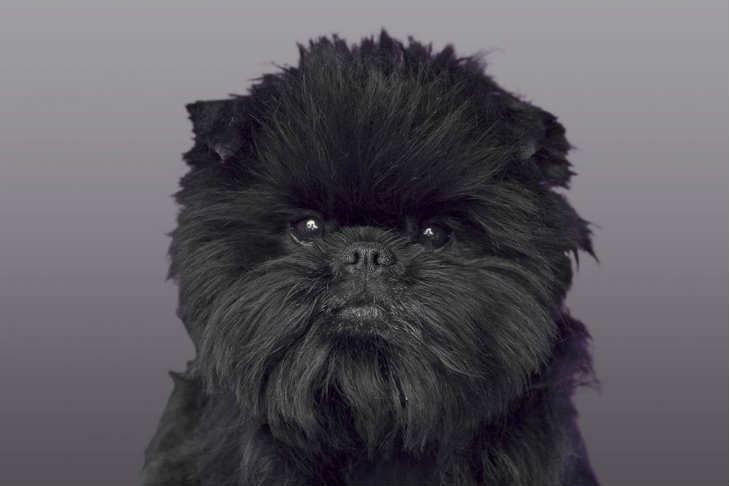 ​The Affenpinscher’s apish look has been described many ways. They’ve been called “monkey dogs” and “ape terriers.” The French say “diablotin moustachu” (mustached little devil), and “Star Wars” fans argue whether they look more like Wookies or Ewoks. But Affens are more than just a pretty face. Though standing less than a foot tall, these sturdy terrier-like dogs approach life with great confidence. As with all great comedians, it’s their apparent seriousness of purpose that makes Affen antics all the more amusing.